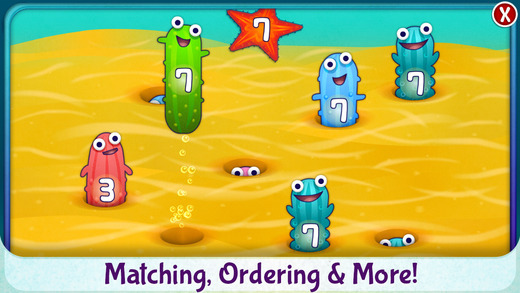 FREE for a limited time – Dr. Panda’s Restaurant 2, an educational app for preschoolers. This adorable app was previously named App of the Week by Apple. It’s colorful, creative, and sure to be a hit with preschoolers. Guests to Dr. Panda’s Restaurant arrive by boat. They order things such as pastas, salads, pizzas, etc. Then the fun begins as kids assume the role of Dr. Panda, the head chef. Kids choose ingredients to add to their dishes. Then they decide how to prepare them. They can chop, blend, grate, bake, fry, or boil the ingredients. When their culinary creations are complete, they serve them to the customers and wait for their reactions. There are dozens of different reactions which change every time. If a dish is too spicy, a customer may even breathe fire! Kids will have hours of fun learning about food and how things work in a kitchen with this nicely done app. 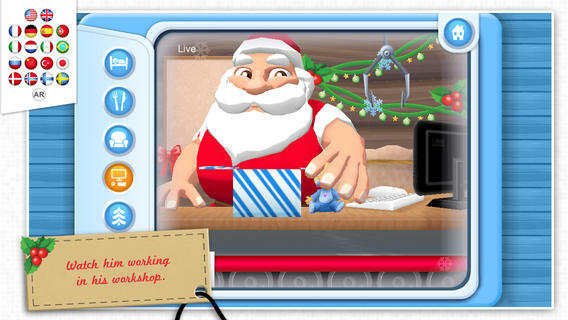 Now you can see what Santa is doing with Santa’s Home, a fun holiday app that is currently FREE! The app is a “LIVE” feed of Santa’s house – the bedroom, the kitchen, the living room, his office/workshop, and the outside grounds. 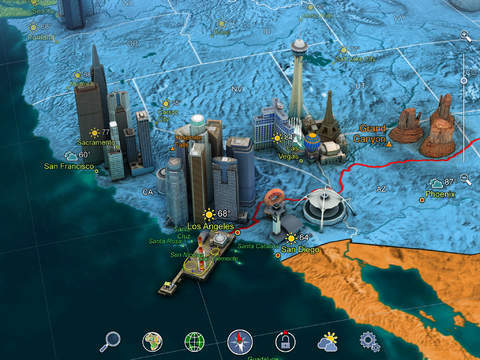 Kids can keep track of what Santa is doing up at the North Pole. I checked in on Santa a few times – first, he was in the kitchen washing his dishes, then he was on the computer checking his list, and a little after 11 PM he was in bed snoring. The app even displays the correct date and time to make it seem more realistic. The app also gives adults the option of subscribing to Santa’s newsletter. Adults can also help kids send Santa one of their drawings that he will display in his workshop. Super cute!! ABC Star – Letter Tracing is FREE for a limited time. Kids learn to write the upper and lower case letters of the English alphabet by tracing them. A friendly and interactive pet hatches and grows as the child practices. The app teaches uppercase and lowercase letters A-Z and numbers 0-9. Each letter or number is pronounced. Kids are guided to correctly trace over dotted lines to form each letter. They can choose their own color for tracing – yellow, green. blue, purple or pink. The app is great for preschoolers who are learning their letters as well as kindergarten and first graders who need practice. FREE for a limited time – Stickyboard 2, a giant whiteboard with a never-ending stack of sticky notes. If you are looking to capture ideas in your classroom or at your next meeting, check out the electronic version of this classic organizer. Unlike their paper counterparts, these sticky notes don’t fall off or get lost. And, they are more environmentally friendly. The app also features Magic Arrange which makes arranging and rearranging the notes much simpler. Entire boards can be emailed as PDF files – great for sharing ideas. 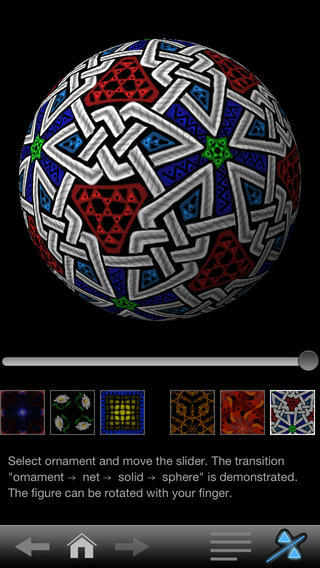 Check out this fabulous tool while it’s FREE!